Check the best lowest Price of Samsung Galaxy A40 in Pakistan. Samsung Galaxy A40 Price in Pakistan is Rs. 38,999. It comes with 4 GB of RAM and up to 64 GB of internal storage. Samsung Galaxy A40 features a 5.9-inch IPS LCD display. The phone is equipped with a 3100mAh battery capacity. This product is available in Ishopping, Mega. At ishopping.pk you can purchase Samsung Galaxy A40 64GB Dual Sim Black - Without Warranty for only PKR.38,999, which is 1% less than the cost in Mega (PKR.39,499). 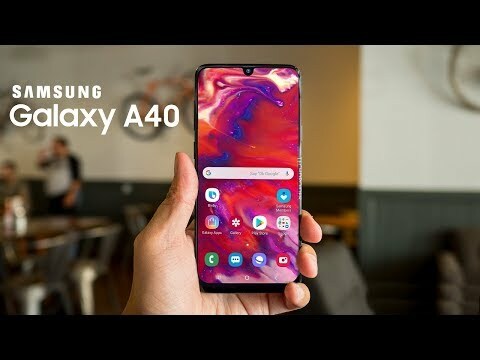 The lowest price of Samsung Galaxy A40 Price in Pakistan, Specifications, Features, Reviews was obtained on April 19, 2019 5:51 am.